option in creating a new you for the new year! muscles and joints, this makes it easier for you to keep to your workouts. When you are able to workout more often, not only do you feel accomplished and healthier but you can be well on your way to losing weight. Another great way that regular massage can help to sustain your resolutions and assist in making a better you is through the regulation and balancing of hormones. Hormones play an important role in body functions and mood stabilization. When our hormones get out of proper balance due to stress, your body responds by weight gain, depression, and a negative attitude. Regular massage therapy stimulates the production and balance of good hormones in the body that promote metabolism, regulate mood, and boosts a positive attitude. 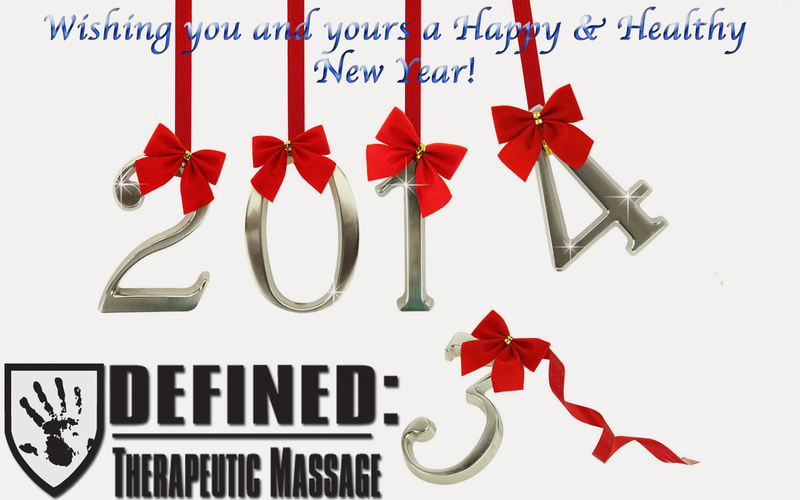 them, give massage a chance to be a helping hand in the New Year.